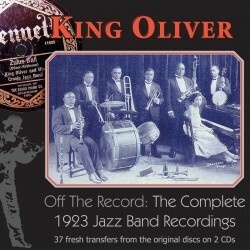 Archeophone is proud to announce its special arrangement with Off The Record, LLC to distribute its new King Oliver set--the finest reissue of the legendary 1923 jazz band sides ever. Taken from pristine original sources, expertly speed-corrected, only lightly processed, and preserved in true flat frequency response: you will hear nuances you never knew were there. It's the next best thing to owning the originals. Contains 37 tracks and an extensive essay, with several unpublished photos. 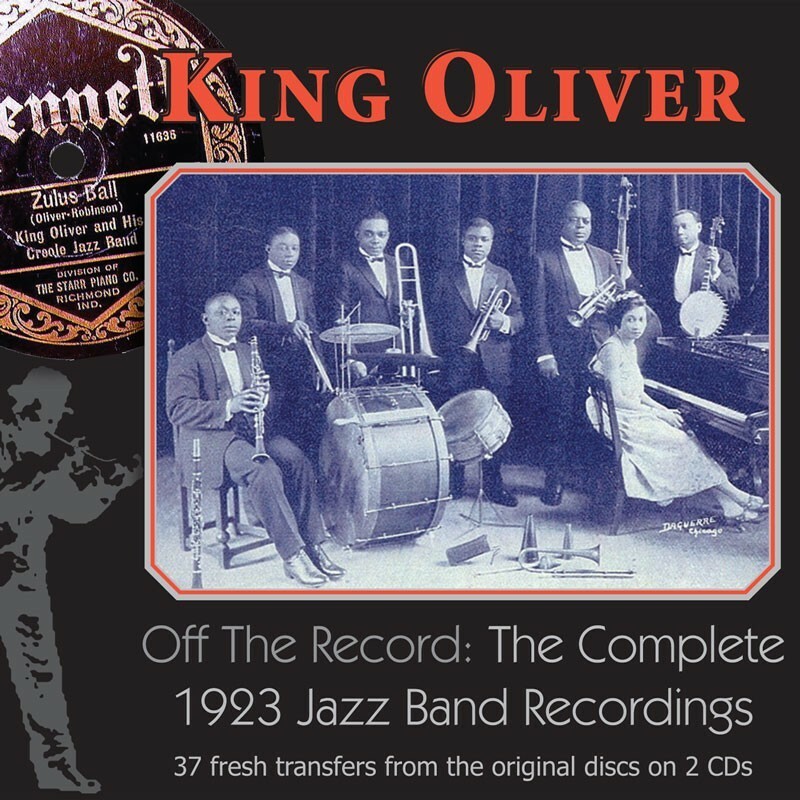 Visit Complete 1923 Jazz Band Recordings' expanded catalogue page to see the complete track listing, read an extended description, and listen to sound samples.